Access networks can get a boost by adding in the powerful Tellabs 1000, a multiservice access platform that delivers Ethernet uplinks, internodal transport and service delivery. The Tellabs 1000 MSAP is designed to give you an Ethernet boost while still keeping your TDM and ATM services and transport going strong. It’s one of the more powerful MSAPs available that enables you to generate significant savings because you can get a refurbished Tellabs 1000 MSAP from Worldwide Supply. That means a more powerful network at a price today that leaves plenty budget left over to keep growing your network tomorrow. If you need carrier-class reliability of 99.999% with plenty of redundancy to protect your edge, then look no further than the Tellabs 1000 MSAP. 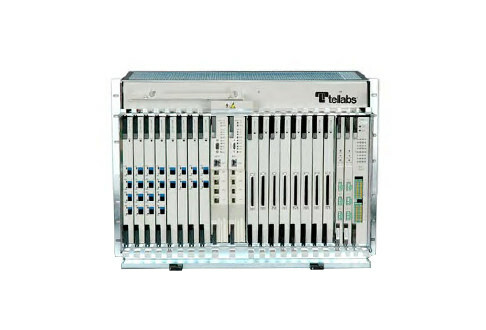 When you choose a refurbished Tellabs 1000 MSAP from Worldwide Supply, you secure all of the benefits and capabilities of the unit while also locking in a price that’s good for your budget and management. Plus, we ensure all used Tellabs 1000 MSAP units are brought up to OEM standards and thoroughly reviewed and tested to guarantee their functionality — backed up with a leading warranty on our work. You save and get a Tellabs 1000 MSAP that features support for more than 2,000 DSL and POTS subscribers. With compatibility for public voice switched network infrastructures, you can easily upgrade and expand voice services at a reduced cost by keeping existing switching interface groups. The 1000 features 26 slots, including four control slots as well as 22 multipurpose slots that work with any mix of broadband and narrowband plug-ins. Link multiple Tellabs 1000 MSAPs for enhanced power and capabilities in mixed network configurations. Build what you need exactly how you need it.